2011 Panini Score Football is an extensive collection of cards with a healthy sized checklist. 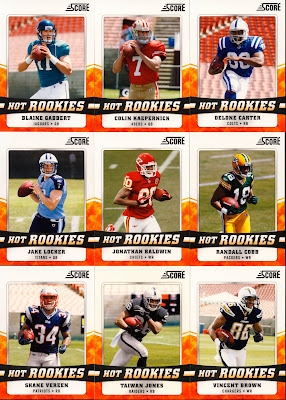 At $0.99 a pack, it’s hard to deny the appeal of these cards. Score Football could easily be mistaken for fun cards because of their price point, but there is some real collecting to be done here so we classify this set as trading cards. 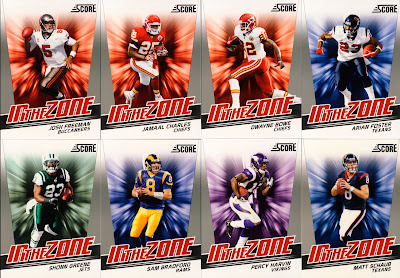 You can find them at retail outlets and your local card shop. 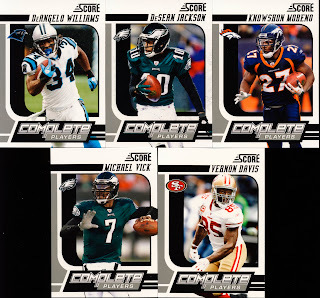 Boxes come with 36 – 7 card packs. 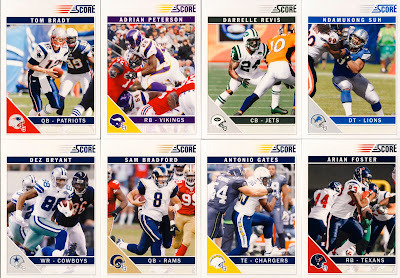 Score Football has a classic, almost retro feel that is simple and solid. 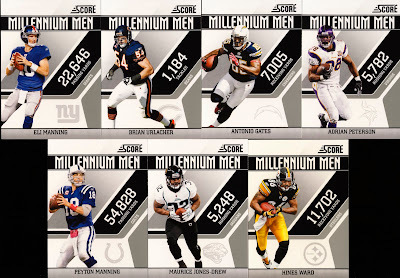 These cards are attractive looking regardless of the price point. 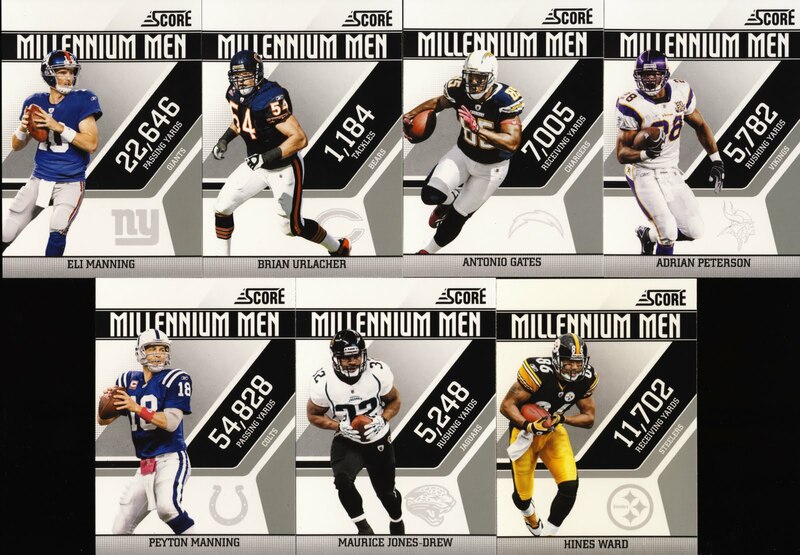 300 star players, 100 rookies. This makes for a really nice checklist. Insert cards work well. 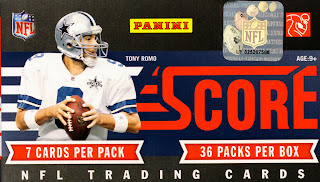 If you can pull an autograph, yeah, there are some great hits to be had, but this is more about building the set at a reasonable price point. 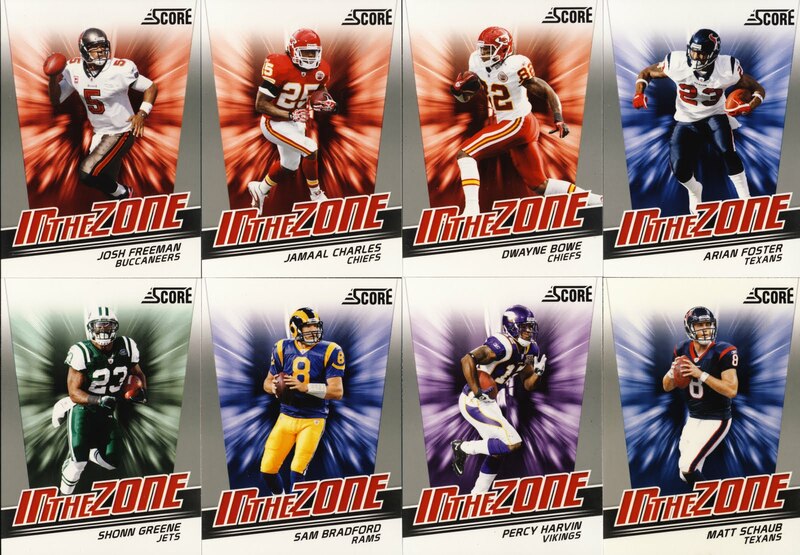 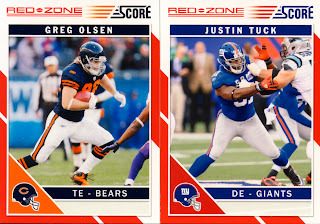 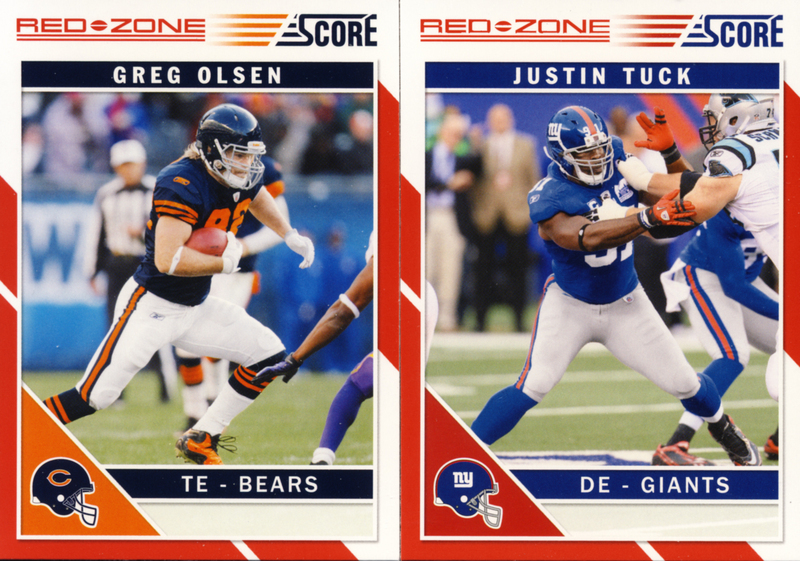 Trying to find parallel variations of the rookie cards and ‘zone” cards are the real chase here. 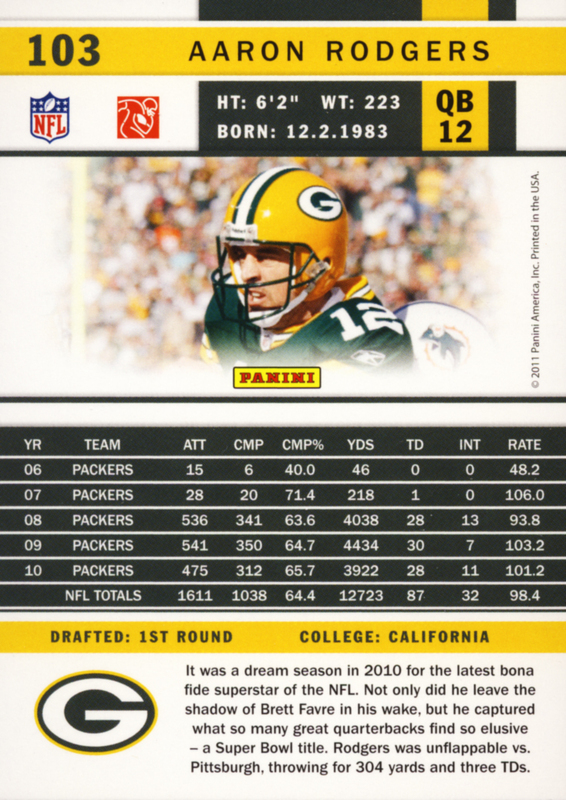 That really is the whole point of Score. 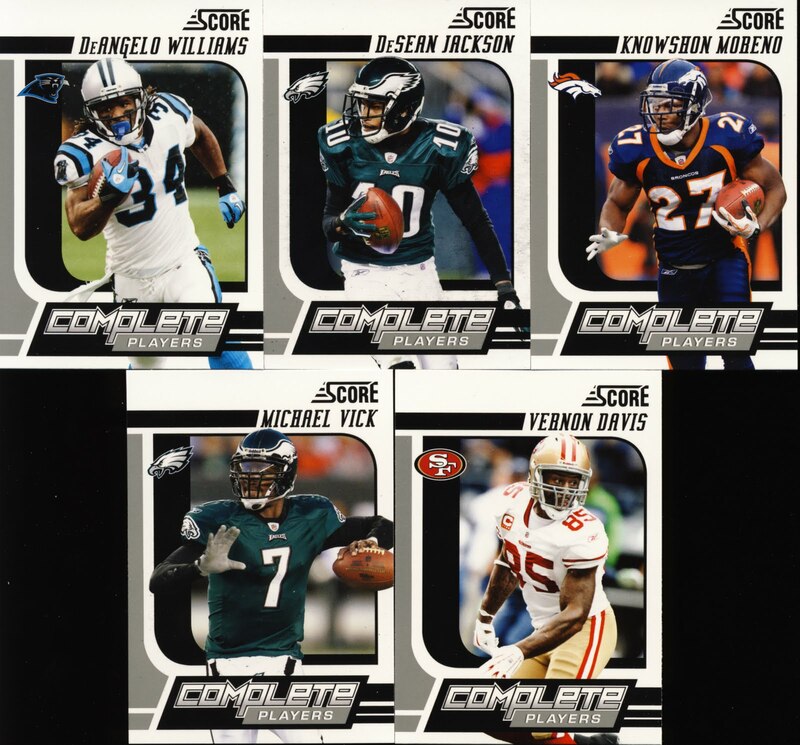 This is intended for people new to collecting and veteran set builders. 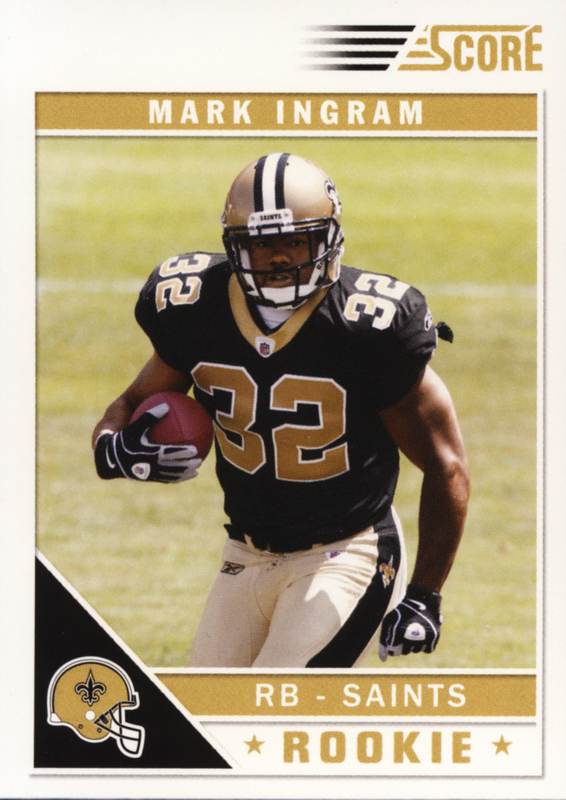 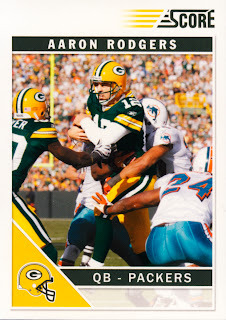 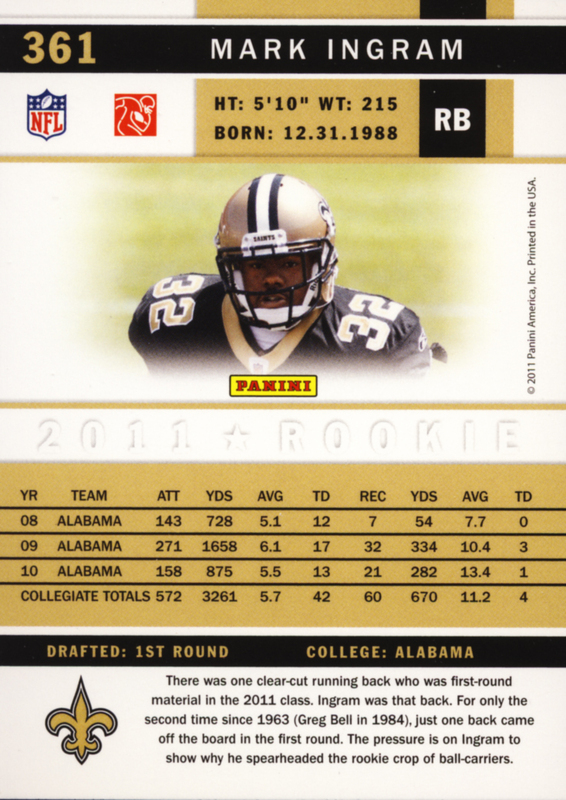 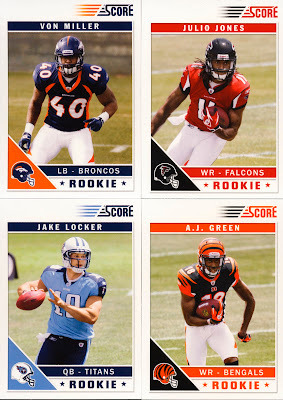 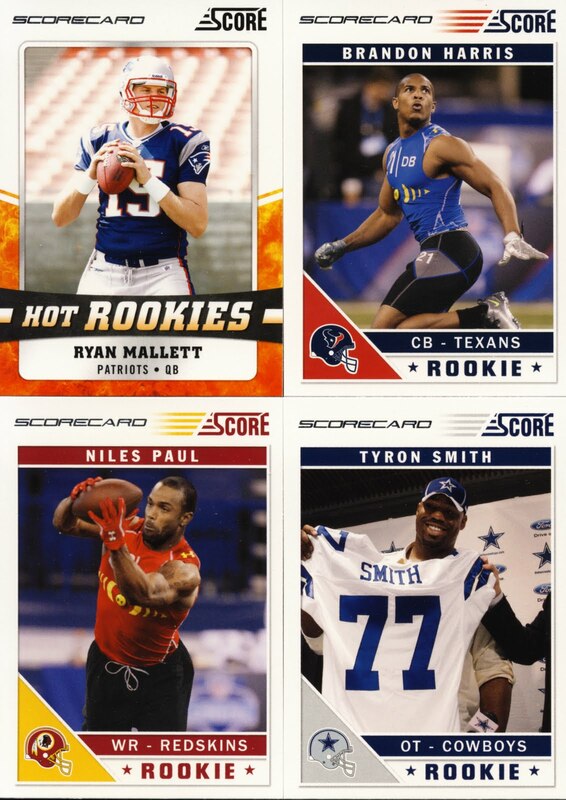 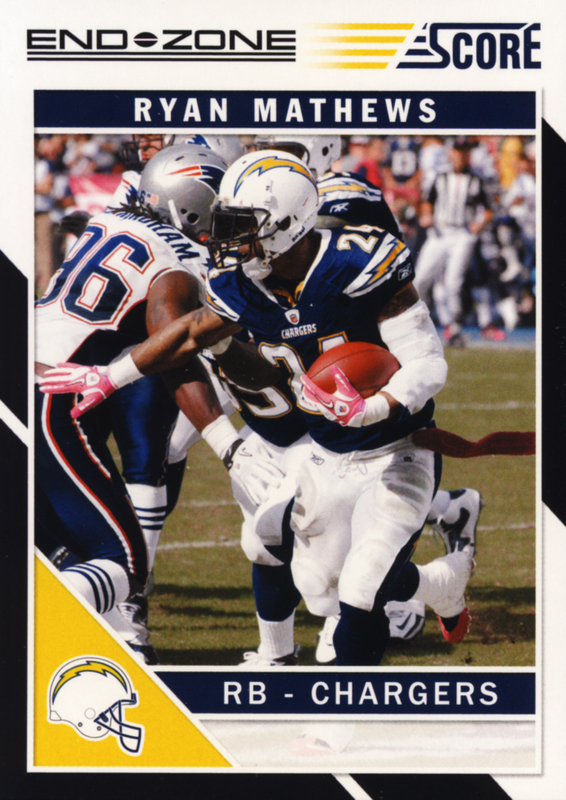 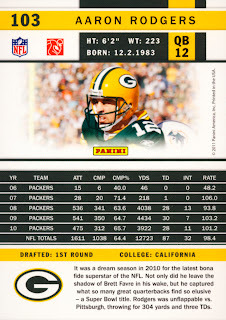 2011 Panini Score Football is a great group of cards geared towards set builders.